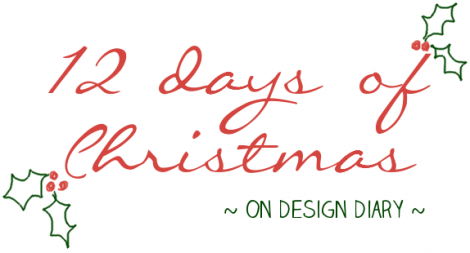 Like I mentioned yesterday I really love Christmas decorating. 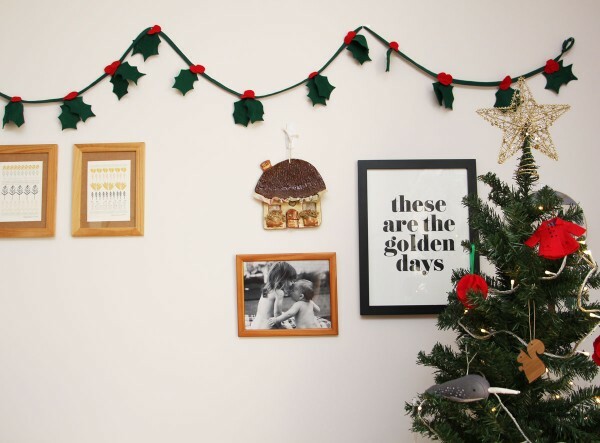 The thing is though – i really like all my decorations to co-ordinate – and I’m just not a huge fan of tinselly type things these days. But I do have a inexplicable love for Holly. 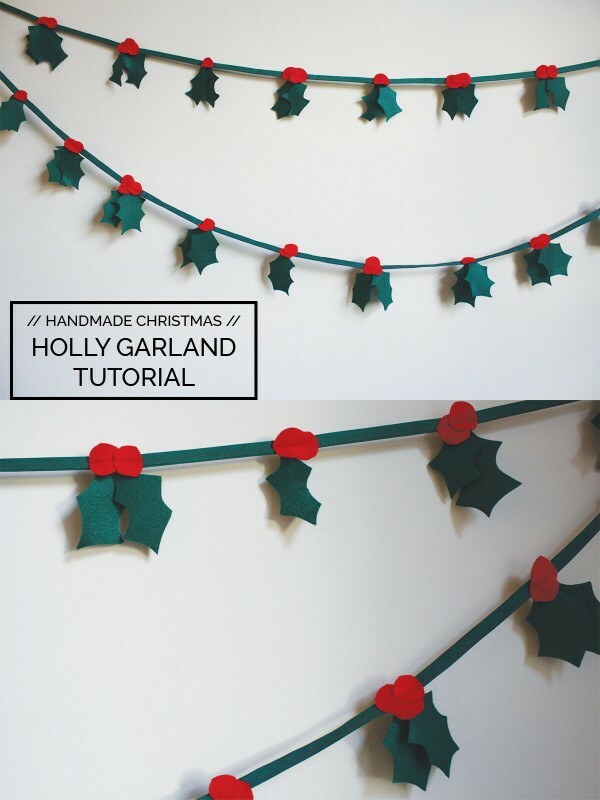 So I decided to make some Holly garlands to decorate the house with. I like the fact that they’ll last well, so I can use them year after year. They were so simple to put together, but I think the effect is really pretty and really unique! 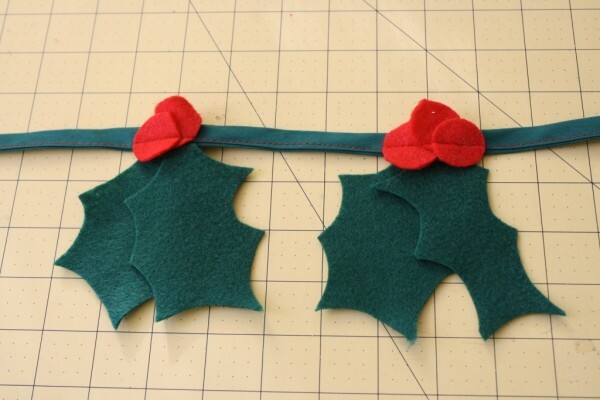 Start with some red felt and some green felt, and some wide double fold bias tape in green. 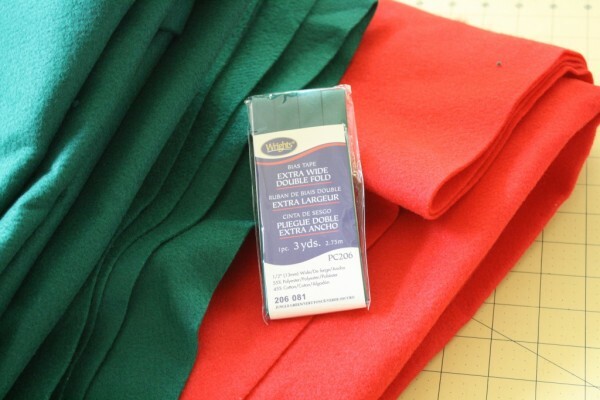 I love felt for this kind of thing because it doesn’t fray, so you don’t need to hem anything!! Cut the leaves out of the green (duh hehehe). 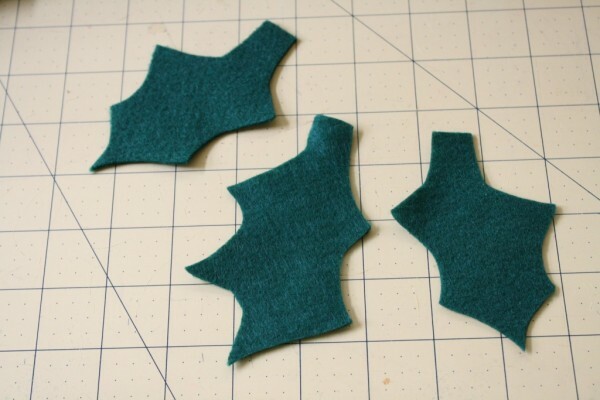 I kept the top of the leaves straight so that there’d be maximum room to sew (i want them to be secure). 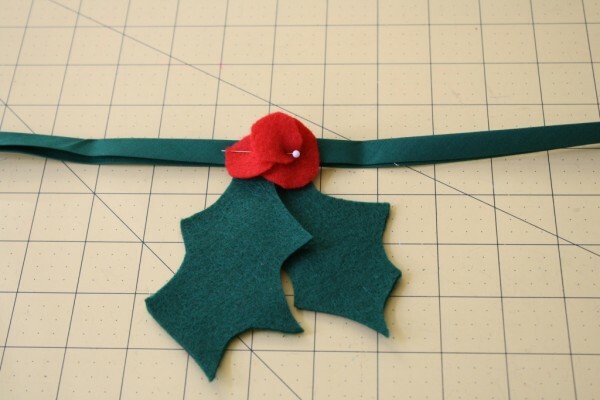 Lay out the bias tape, and place a couple of leaves inside, then a few berries on top. Pin in place. 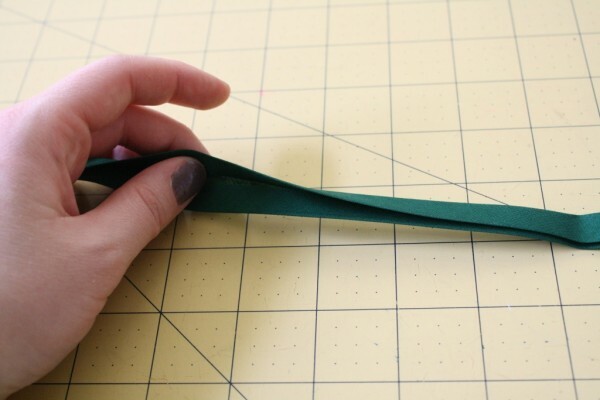 Do this at regular intervals along the length of your bias tape. You don’t have to keep the configuration the same. I changed how many leaves and berries i used each time just to keep things looking more casual and quirky and less umm mass produced. Then sew right along the top! 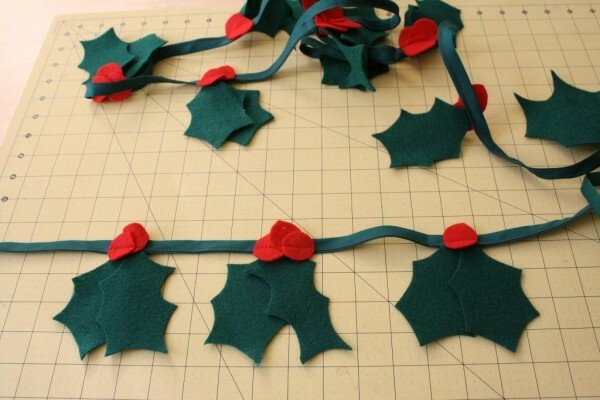 If you don’t have a sewing machine, never fear – I think this would work just as well with craft glue. 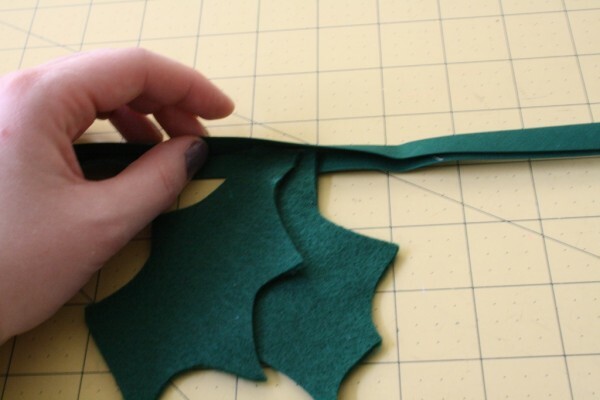 I would first glue the leaves on the inside of the bias tape, then glue the berries on top. Cute! I’m going to save this to use later! 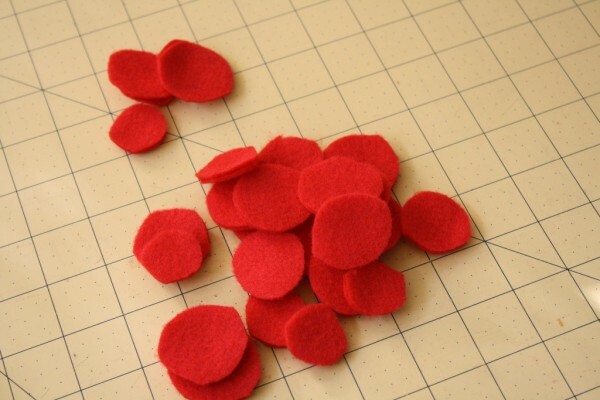 I love felt and this is such a cute idea I’m totally going to have to recreate. Thanks for sharing! So cute! 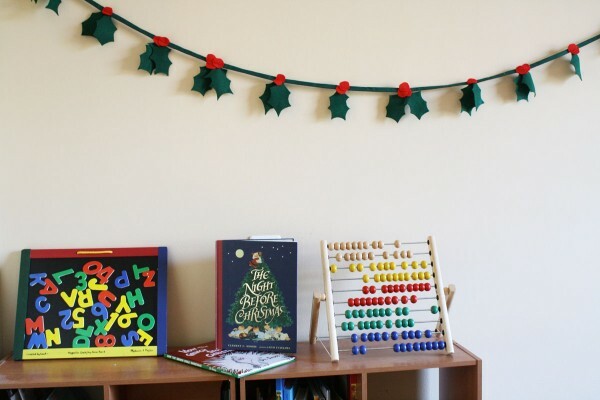 Have to earmark this project for next year as I’ve already decorated for this year! Fab tutorial, thank you! These look great! I stupidly forgot I needed extra wide bias binding but carried on with my narrow piece! This made it a little bit fiddly and I had to sew the berries on after. Next time I will definitely use the extra wide stuff! They still look fab though, and fun to do…..great project!